Recently I read a post in an online writers’ forum that broke my heart. A woman reported having dipped into her savings AND retirement accounts to invest in several expensive book marketing educational programs with the expectation that they would help her sell huge quantities of books. She spent tens of thousands of dollars on programs that promised big results. Despite all of her efforts, she sold just a single copy of her nonfiction guide. Just ONE book. Sadly, her results weren’t surprising to me. Any program that promises massive book sales is about as reliable as one of those “lose 30 pounds in 30 days” schemes. You know that old adage: If it sounds too good to be true, it probably is. The reality is that nobody can promise specific results with a generic book marketing campaign because there are just too many factors involved. Let’s look at some of the challenges. The first, and perhaps most challenging obstacle to overcome, is that you must define, and then find, your target reader. As much as we’d like to believe that everyone will want to buy our books, that simply isn’t the case. For example, if you’ve authored a memoir about living with a disability, you need to find readers who are interested in this kind of inspiration. A how-to guide for getting healthier is only going to be of interest to people who want this kind of advice. A book on the history of WWII will best appeal to those who share this interest. Unfortunately, too many authors miss this point entirely. Before you can find your target audience, you must first define who they are. And though it may sound counter-intuitive, the more narrowly you define your audience, the higher your chances of connecting with potential readers. So, if your book is a memoir about your experiences growing up as a Christian, then it makes sense to pursue readers of Christian books. But that alone is not likely narrow enough. You may find that you’ll better connect with potential readers who are Christian mothers, single Christian mothers, or older Christian women who grew up during the same era that you did. The point is that a memoir of a Christian woman’s journey growing up won’t necessarily jump out at every Christian reader. But if a single mom finds a book written by a fellow single mom, then it can greatly increase the likelihood of the potential reader connecting with the subject matter. Defining a narrower audience has proven to be powerful in my own journey. I work with, and write books for, nonfiction authors. Though I could certainly write content for all kinds of authors, I purposely chose nonfiction for several reasons. Nonfiction is where my own passion lies, because I believe in the power of books to make a difference in the world. I identify with nonfiction writers because we tend to have similar goals. Nonfiction is also an area that has little competition. The vast majority of my competitors aim to reach all authors. Sure, their potential audience is larger, however, with my focus on nonfiction, my content appeals directly to a very specific set of ideal readers. This should be your goal, too. Once you define your target audience, everything you do should speak to them. Your website and blog content should address them directly, and so should your email marketing campaigns, videos and podcasts you produce, presentations you give, and every other piece of content you put out in the world. Many of the expensive author marketing programs out there, like the ones the author that inspired this article invested in, fail to teach authors how to find and communicate with their target audience. Instead, they take a blanket approach of teaching authors to churn out social media content and send mass email blasts, without taking time to tailor the messaging and marketing activities specifically to the intended audience. Instead of churning out announcements to a large audience that doesn’t connect with your subject matter, go figure out where your audience spends their time. Find the online groups they participate in, the trade associations they belong to, the blogs and magazines they read, the events they attend, and the podcasts they listen to. Then, target your marketing efforts accordingly. One of the most sobering factors that impacts book sales is the sheer number of books released each year (over 2 million new titles were released worldwide last year) verses how many books people actually read each year. 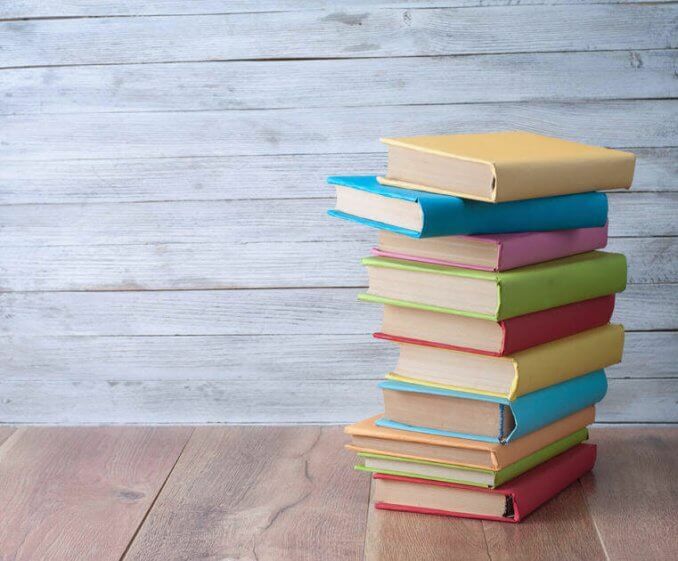 A report from Statisa reveals that 22% of Americans read fewer than five books per year, 20% read up to ten books per year, and 17% read up to fifteen books per year. Interestingly, adults age 60 and over read the most books, with 43% reporting they read more than 15 books per year. Think about what this means. Even those who read upwards of 15 books per year are still only buying 15 or 20 books in a calendar year. And they’re choosing from a selection of millions and millions of titles. With so many choices, it is crucial that your potential readers connect with your book—that it grabs them and inspires them to purchase. There are simply too many other choices. Some sub-categories also have staggering competition. If you do your homework, you might find some sub-categories you didn’t know existed, with far less competition than others. Studying the book categories can help when designating categories for your book, and even in defining your target audience. For example, if your memoir covers your struggles to navigate life with a learning disability, where you do you think you’ll find more success? In the memoir category with 80,000+ competitors or the Learning Disorders category with just 1,000 results? The reality is that there is tremendous competition no matter the subject of your book, which gets back to the first key points of this article: You must define your target audience, ideally as narrowly as possible, and then do the work to locate them and help them connect with your book. How many books can you expect to sell? As the woman who inspired this article learned, it’s not easy to sell books. There are all kinds of statistics bouncing around out there, but generally speaking, most self-published authors will likely sell around 250 books or less. A few years ago, the industry was buzzing when statistics revealed that the average self-published author earns less than $500 from her books. That figure doesn’t even cover the cost of quality editing. This is why authors hear the word “platform” over and over again. Having a platform means that you have a captive audience ready to buy your book. That audience can come from blog readers, YouTube subscribers, social media followers, email subscribers, audiences at speaking engagements, and any other place where you can cultivate your tribe. A platform makes it easier to sell books, though it still doesn’t guarantee massive book sales. Remember, you need to inspire your target readers to buy the book. My Advice: Keep sales expectations low, and shift your focus to building a business around your book. Being an author makes you an instant AUTHORity. Use your book to help you land speaking engagements, where you can sell books at the back of the room. Use it to impress potential consulting or coaching clients. Use it to show your credibility for teaching in-person or online classes. Another option: write more books. Each book you publish builds your “back list,” and those sales build on each other. Please don’t get into publishing with the expectation that one book will generate a substantial income—that simply isn’t the reality for the vast majority of authors, unless you’ve built a substantial platform and a loyal audience of buyers. Get into publishing because you want to make a difference. Let your book be your credibility-builder, while you cultivate a loyal tribe and build a thriving business. When you do the work, book sales will follow, and so will other opportunities. But it takes time and persistence. Focus on the long-term effort involved, and how your book can make an impact on the world. This can be a fun and rewarding journey when you shift your perspective and set your expectations accordingly. 10 Comments on "How many books can you expect to sell? The truth about book sales and the keys to generating income from publishing"
Thank you for your feedback, Jim! I wish every author could read this solid advice BEFORE they start writing. Nothing is sadder than an author who writes a book without first identifying the target market. Here’s another marketing tip. Identify a half dozen best-selling books that are most similar to yours. Now, start researching them. Go to the authors’ social media profiles and see what kinds of information they’re sharing. Who are their followers? Connect with them! Do they have a YouTube channel? What kinds of videos are they creating? Are they promoting themselves as experts in their fields? How? Which reviewers have reviewed their books? Pitch those reviewers. Which reporters have written articles about the authors or quoted them? Add those reporters to your media contact list. Which blogs or podcasts have featured those authors? This is time-consuming. It’s also effective because you don’t have to reinvent the wheel. Do what other successful authors in your genre have done to sell more books. Thank you very much, Joan. Vey helpful tips. Great tips as always, Joan! Thank you for sharing! I`m a first time published author and my book comes out the first quarter of next year. I have read a lot of articles on how to sell/ promote books. This article by, Stephanie Chandler, by far, is the best. Thank you, Stephanie, for this information. It is very helpful. Thank you for the kind words, David. Best wishes with your book launch! Excellent suggestions! Good to read about the importance of being realistic and ambitious also. I am thankful for your sharing of advice…and I am taking it to heart. I am intent on building a business around my book(s), knowing now that it is just one piece of the puzzle. Stay tuned…and Thanks!